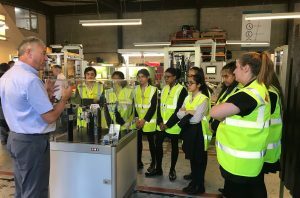 TF Automation literally opened its doors last week to Bradford Students as part of the Chamber of Commerce initiative – Bradford Manufacturing Week 2018. 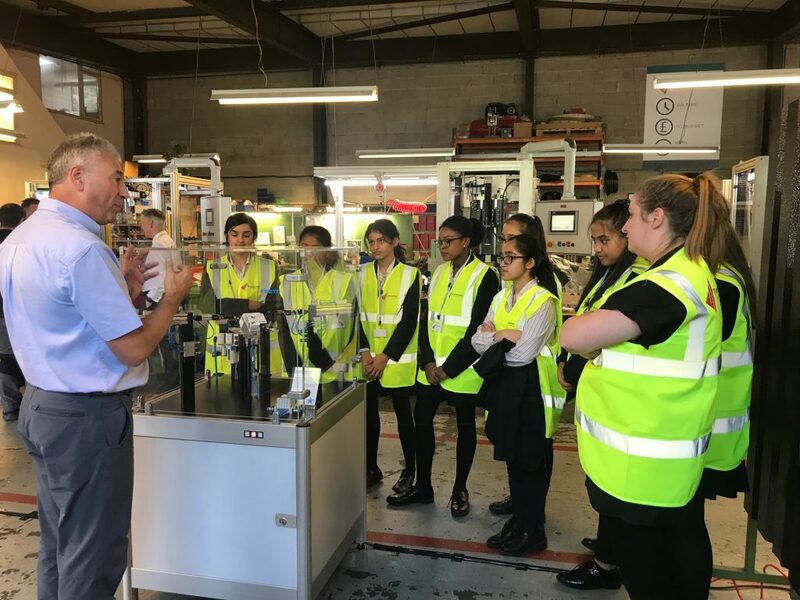 Welcoming over 30 Year 10 students from three different schools, TF provided an insight into the world of engineering and manufacturing with a number of site visits conducted throughout the week. . The visit started with a short presentation about who we are, what we do and the wide variety of industries in which we work, focusing on real project solutions we have provided for customers. We then discussed what engineering is, who can be an engineer and the various routes into engineering and manufacturing. 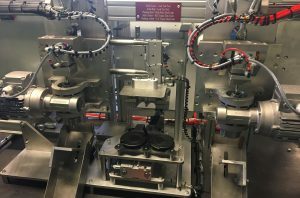 The students were then taken on a factory tour looking at a number of machines in manufacture for a diverse range of clients. Our suppliers offered great support to the event with a robot demo unit from Staubli on show, a pneumatics system from FESTO and a laser marking unit from Coherent/Rofin. The students created their own personalised ”coaster” on the laser marker taking it away with them along with freebies provided by Really Useful Products and FESTO. Students from Woodhouse Grove School had the following feedback.